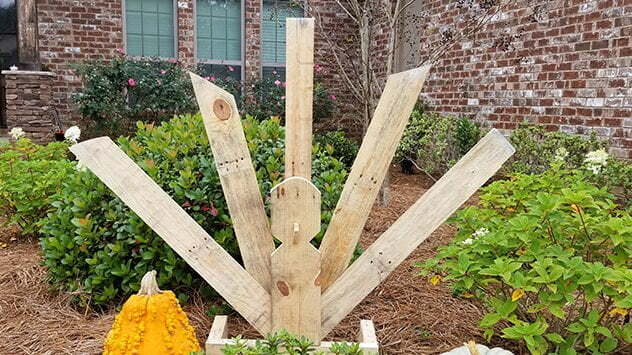 Decorate your home or yard for Thanksgiving with this easy and inexpensive turkey project. It’ll only take about an hour and could cost you $0 if you already have these simple supplies on hand! 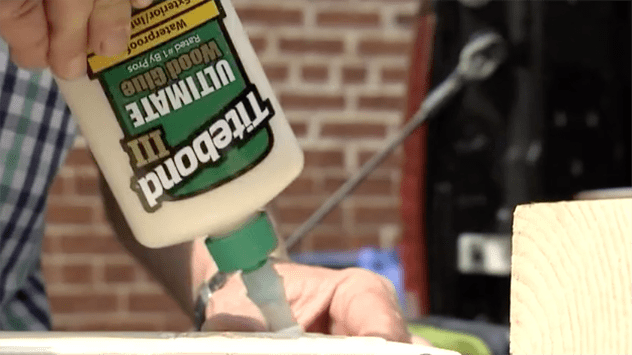 Aside from the pallet, it’s smart to grab some Titebond III multi-surface wood glue. 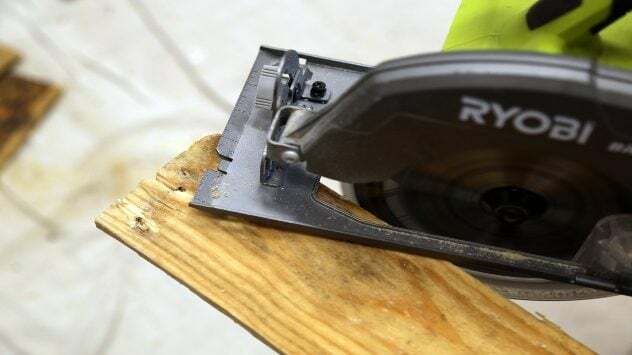 It requires half the clamp time of traditional woodworking glues to dry, allowing for handling within 20 minutes of applying pressure. it won’t run or drip and will remain in place the moment you apply it. 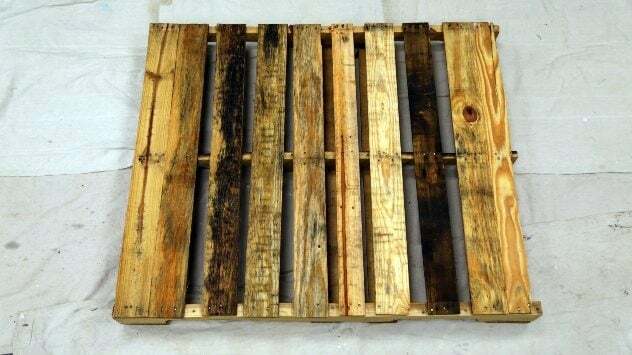 What can be said about a pallet you don’t already know? It’s useful, free in most cases, and can be used in creating dozens of crafts over the holidays and throughout the year. 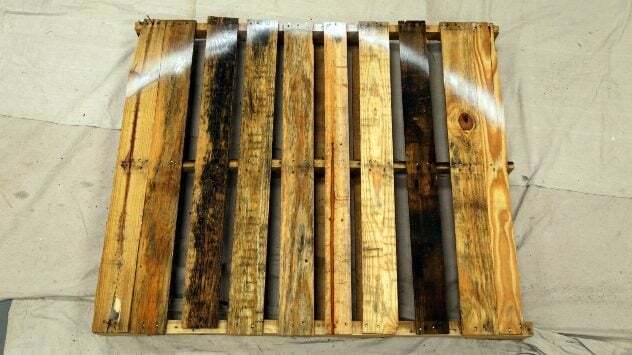 You can find a pallet at just about any retail business. Consider checking with a local pet or furniture store. Often times they are happy for someone to take them off their hands! Before taking the boards apart remove the back end. Only take out the back of what will eventually be the top of our feathers. Then mark a half-moon where you will cut out the feathers. 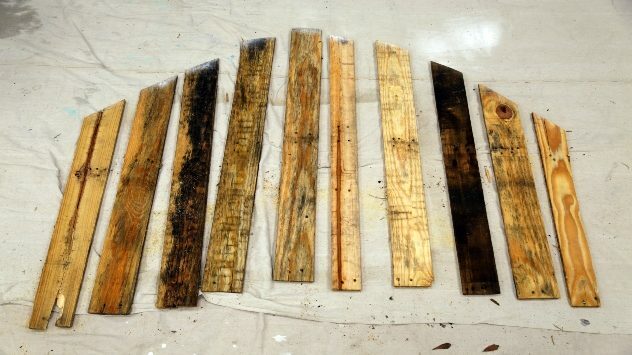 Afterward, remove all the boards from their base. 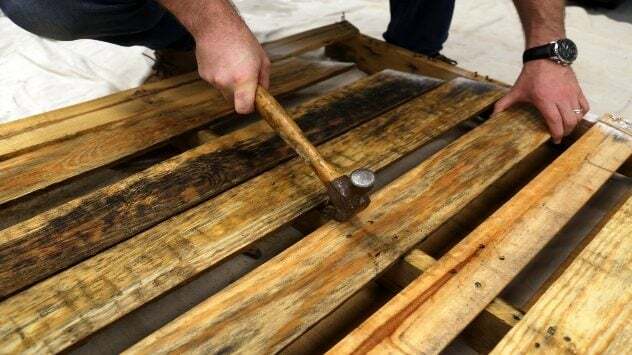 Don’t throw any of the wood away. Even the smallest pieces will be helpful later. You want to make three feathers fit together at the bottom. 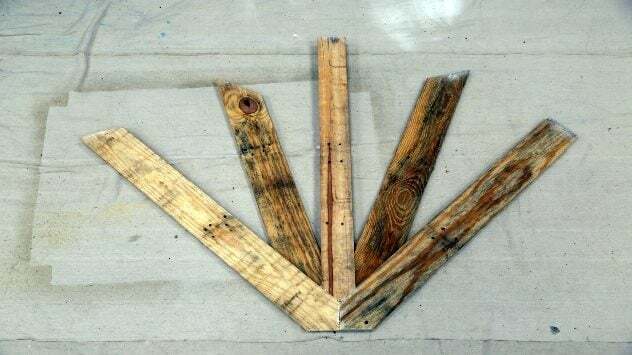 To do that, cut the boards at 45-degree angles. This will make them fit in an arrow shape. 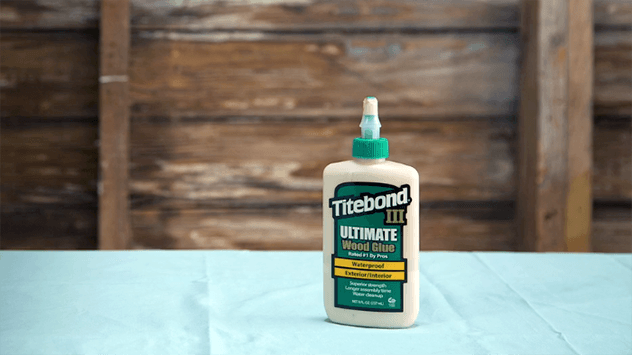 Use your Titebond III to glue together the three “base” pallet boards. Using clamps, keep the pieces together for 30-minutes to an hour. Gluing the boards together is important for keeping the wood in place in the long run. Over time the nails can shift in place, once glued the pieces will become more stable. Once dry take two other feather boards and using Titebond glue them to the back of your turkey and wait about another hour. Carefully nail the boards to keep them in place. I had this last year on thanksgiving and that is why I was looking for ham. Hope you have fun.